Capt. 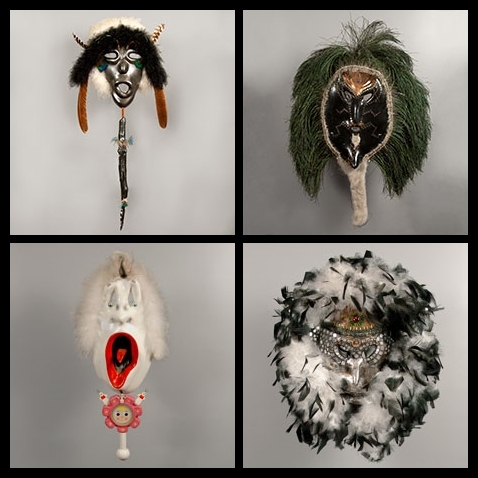 Beefheart Guitar Legend Zoot Horn Rollo Releases Four New Digital Only Tracks! Asheville, NC – Much to the excitement of guitarists worldwide, guitar icon Zoot Horn Rollo (Bill Harkleroad), best known for his work with Capt. Beefheart’s Magic Band, has made four new tracks, ‘The Mask Tracks’, available for the first time since the release of his critically acclaimed CD “We Saw a Bozo Under the Sea” in 2001. Check out samples of the tracks on Zoot Horn Rollo’s music page. You can also purchase them in the store. Rolling Stone Senior Editor David Fricke published a list of The 100 Greatest Guitarists of All Time, with Zoot Horn Rollo outranking Eddie Van Halen, Johnny Winter, Mick Ronson, Lightnin’ Hopkins, Link Wray, Neil Young, Danny Gatton and dozens more. Bill Harkleroad joined Captain Beefheart’s Magic Band at a time when they were changing from a straight ahead blues band into something completely different. Through the vision of Don Van Vliet (Captain Beefheart) they created a new form of music, which many at the time considered atonal and difficult, yet over the years has continued to exert a powerful influence! Beefheart re-christened Harkleroad as Zoot Horn Rollo, and they embarked on recording one of the classic albums of all time, ‘Trout Mask Replica’; produced by legendary Frank Zappa, the album remains an unparalleled work of musical inventiveness. Further LPs like ‘Lick My Decals Off Baby’, ‘Spotlight Kid’ and ‘Clear Spot’ highlighted what a truly innovative band they were, and what an outstanding original guitarist Bill Harkleroad had become! 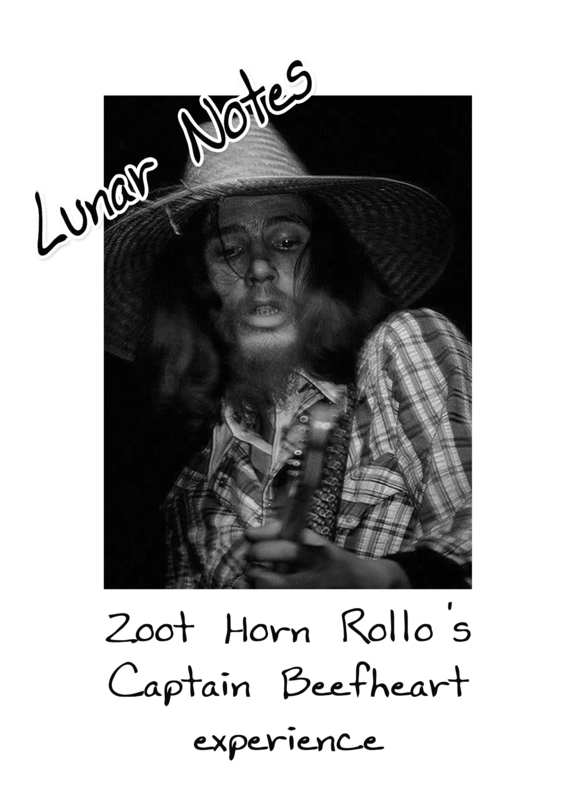 Captain Beefheart Guitar Legend Zoot Horn Rollo’s Biography ‘Lunar Notes’ Now In Print Again! London, UK – Much to the excitement of Captain Beefheart and the Magic Band fans around the world, the critically acclaimed biography ‘Lunar Notes’, by original Magic Band guitarist Zoot Horn Rollo (Bill Harkleroad) is now available again from Gonzo MultiMedia UK after being out of print for over a decade. Beefheart re-christianed Harkleroad as Zoot Horn Rollo, and they embarked on recording one of the classic albums of all time, ‘Trout Mask Replica’; produced by legendary Frank Zappa, the album remains an unparalleled work of musical inventiveness. Further LPs like ‘Lick My Decals Off Baby’, ‘Spotlight Kid’ and ‘Clear Spot’ highlighted what a truly innovative band they were, and what an outstanding original guitarist Bill Harkleroad had become! Since Captain Beefheart’s retirement from the music industry, and subsequent passing, many outside commentators have tried to put their finger on what was so special about the Magic Band. Now, with the reprinting of ‘Lunar Notes’, we get the insiders story. With the help of co-author Billy James, Harkleroad divulges the often uncomfortable and difficult workings of the band, giving rare insight into the way the music was created. At last, we find out what it was like to play, record and live with an eccentric genius as Captain Beefheart!